Only 10 min walking distance to the train station. Good price/quality ratio. Large, great-looking room. Facilities were in order, nice view. All this on a budget. Was expecting something small and simple but it was of top quality. Good if you are tired and need a place to sleep for the night. I arrived very late in the evening and the receptionist was really kind and patient despite I was tired and I just wanted to check in quickly and go to bed. 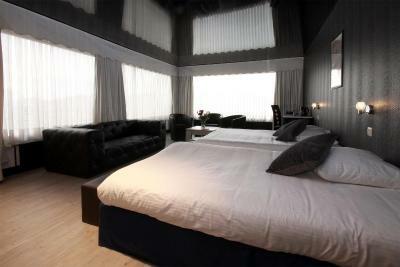 The room was ok, clean and comfortable. It fits the price. The room had all necessary things. 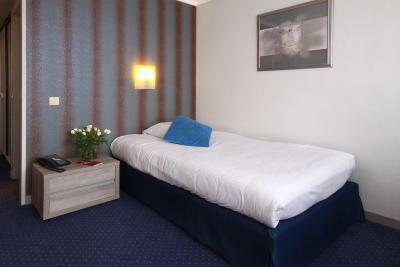 The location is within walking distance of the train station/bus terminal, which is nice if you need to take the shuttle to the Airport for an early flight. old style, but good style! 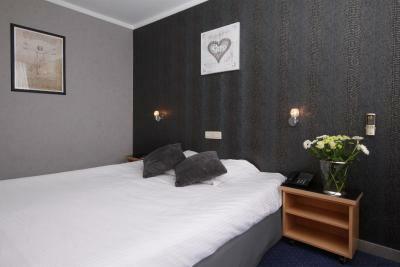 Had a great sleep in this hotel! This was a good walk from the train station, but the hotel was one of the nicest on my trip and the staff was super-helpful. 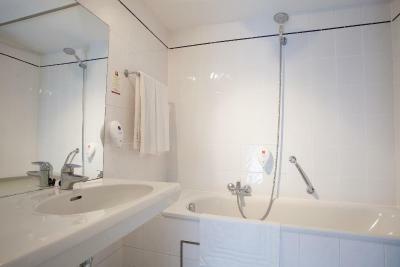 Very good place for the value, and the location is very good, close to the train station and the airport shuttle. 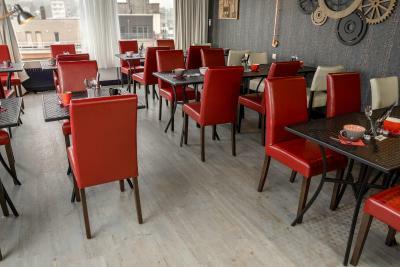 Leonardo Hotel Charleroi City Center is set in the heart of Charleroi, an 8-minute walk from Charleroi South Train Station and 7.5 mi from Brussels South Charleroi Airport. 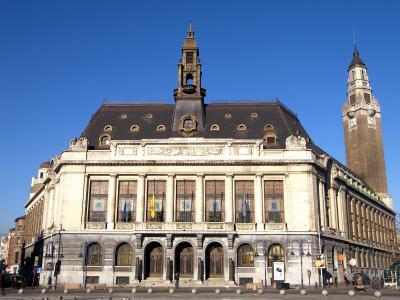 The Main Square in Charleroi is 1,950 feet away. 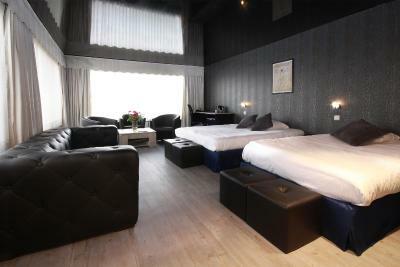 This hotel includes an à-la-carte restaurant, a bar and a 24-hour reception. Free WiFi is available in all areas. 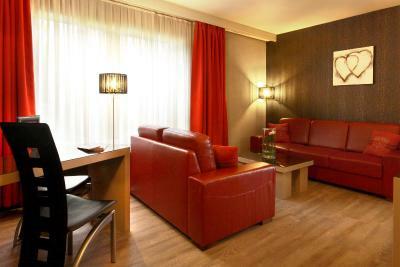 Each room at Leonardo Hotel Charleroi City Center comes with a TV, a work desk and a telephone. 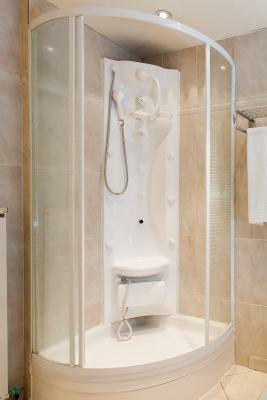 There is a private bathroom fitted with a shower or a bathtub and a hairdryer. Boulevard Tirou Shopping District is 800 feet away. 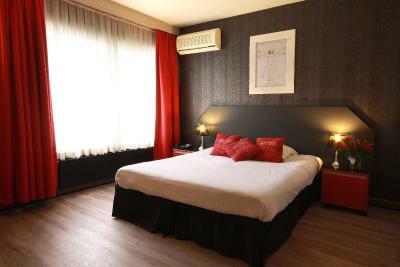 Brussels, with its Grand-Place, the Manneken Pis and the Atomium, is 37 mi from the accommodations and can be reached by train. The city of Mons is 28 mi away by car. 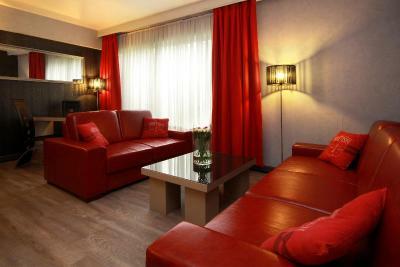 When would you like to stay at Leonardo Hotel Charleroi City Center? 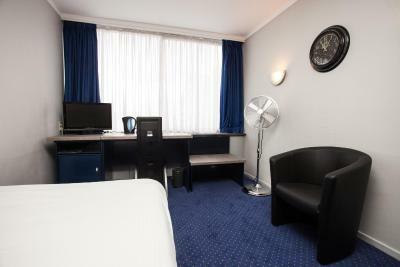 This compact room includes TV, a desk and a private bathroom. 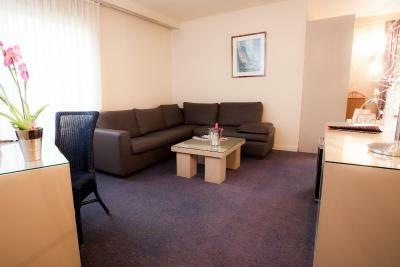 A minibar and tea/coffee-making facilities are also provided. Please inform the hotel if you would like the beds separate or together. 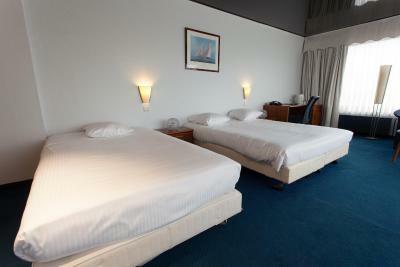 This room cannot accommodate an extra bed/extra adult. One babycot can be added upon request only. Get everything you are looking for with the style and service that you want, all at a great price. 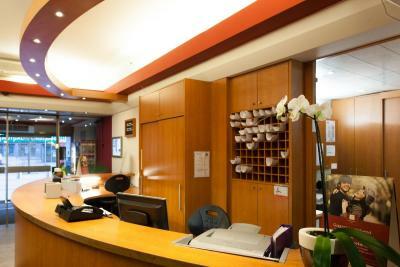 We take care of your needs and wishes 24/7, and aim to make your stay feel like home. 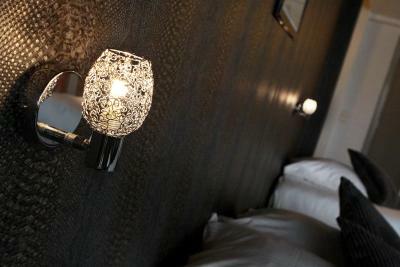 House Rules Leonardo Hotel Charleroi City Center takes special requests – add in the next step! 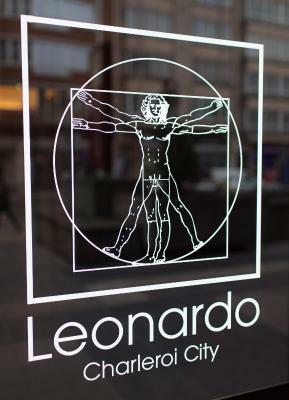 Leonardo Hotel Charleroi City Center accepts these cards and reserves the right to temporarily hold an amount prior to arrival. Please note that underground private parking is available for free Monday - Friday from 16:30 - 09:00 and from Friday 16:30 until Monday 09:00. Please note that there are 25 parking spaces available and reservation is not possible. Please note that outside these hours the parking place is not accessible. 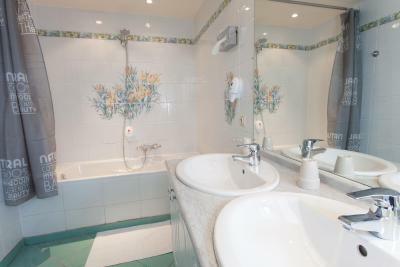 Berbat otel. Terrible hotel. Not clean very old and smell bad. Herşey kötü. I didn't like at all. I arrived at night and everything in the city was closed but there was no complementary water bottle in the room. During the booking of otel , normally non-smoking room is default but we understood for this otel ,if you prefer non-smoking room is to be strickly mentioned. 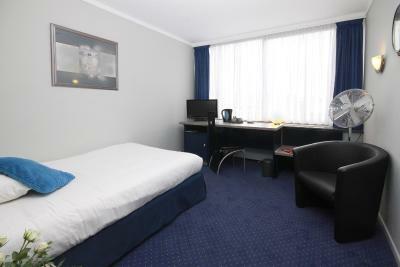 Otherwise you have to stay smoking room which is extremely terrible. Staff is very friendly and nice. 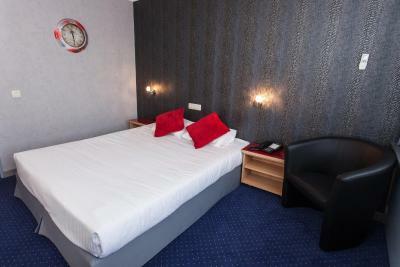 Otel is close to city center and central train station (sud) . Was very noisy outside the hotel in the evening. Shower didn’t work properly, breakfast was poor and no bacon or Egg left even though we went for Breakfast 40 minutes before it was closed. 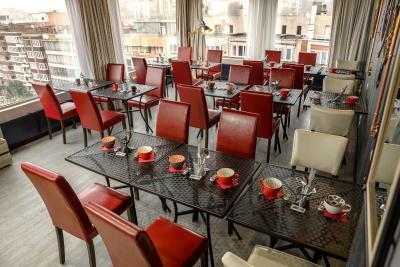 Friendly staff, central location, impressive view from the breakfast room. I find the place to be nicely located. 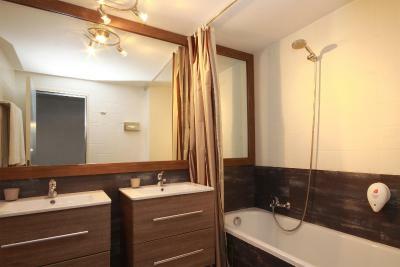 However, the amenities are rather old and the bathroom would benefit from a slight renovation. 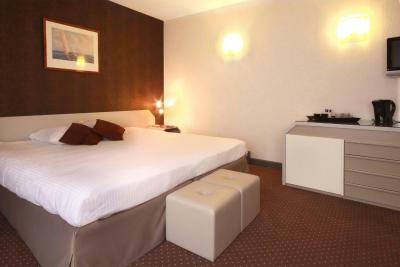 Overall, the price is fair for the quality but I have had better experiences with other hotels for the same price range. There was a strange smell in the room. The water from the kettle in the room was sour in taste and I had to throw it out. The clock on the wall had no battery and consequently was not working. Let alone that it had the name of another hotel on it (but I guess that is part of the design of the room). 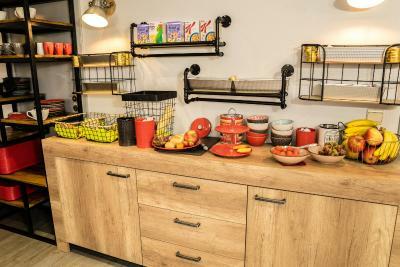 The staff was really helpful and the breakfast was very good. Also, the location was very good. 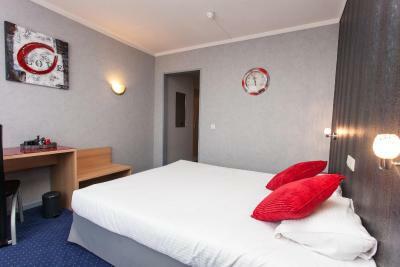 The room is ok,it is near charleroi sud.Room clean and tidy.A square is near the hotel,I find a Thaifood restaurant nearby,which is very good tasting.One more thing,when I left,I asked the way to train station,the staff gives me a map and directs the way,good guy.Nice experience!